The City of Wanneroo’s Community Funding Program is now open to applications from community groups, organisations and clubs wishing to secure financial support for their projects, activities or events. Mayor Tracey Roberts encourages community groups, organisations and clubs based in the City of Wanneroo, or with a primary interest in the City, to apply for funding through the Program to assist with their activities in the local community. 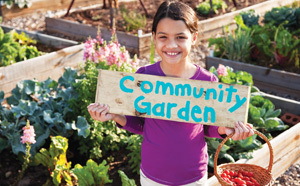 Community Development Funding - Projects and activities that contribute to the growth and enrichment of community life in the City of Wanneroo. Community Event Funding - Community-based events developed and conducted across the City of Wanneroo. Christmas Community Celebration Event Funding - Events recognising the City of Wanneroo's commitment to support and celebrate the community. This round of funding is to support community development projects and events taking place from July to December 2019. The City of Wanneroo also has a dedicated Community Funding Officer who can guide you through the process, from determining eligibility to shaping the project or event. For more information, phone 9405 5951, email communityfunding@wanneroo.wa.gov.au or visit www.wanneroo.wa.gov.au/communityfunding. Applications close at 4pm on Friday 15 March 2019.